It is now the right time, when we have succeeded in restoring the revolutionary International, the Communist International, when the Soviet form of the movement has itself become both the theoretical and practical programme of the entire Third International—now that this has been done it is appropriate to review the general course of development of the Soviets. What are the Soviets? What is the significance of this form which was created by the masses, and was not invented by any individual? It seems to me that the tasks now confronting us, the proletariat that has won power, can be appraised only from this angle, as can also the degree to which we have attempted to fulfil these tasks and the degree to which we have succeeded during the past year under the dictatorship of the proletariat in Russia. Only in the light of the general role of the Soviets, of their general significance, of the place they occupy in world history, is it possible to understand the situation we found ourselves in, why we had to act in the way we did and in no other, and how, looking back, we must examine the correctness or incorrectness of the steps we took. And we are now doubly in need of such a more general, broader, and more far-reaching outlook, because it is some times painful for Party people in Russia to see faults and defects and feel dissatisfied with their work, because the practical fulfilment of the urgent, current, immediate, everyday administrative duties that have been, and continue to be, the lot of the Soviet authorities often distracts attention, compels us, in spite of ourselves—it is no use rebelling against the conditions under which we have to work—to devote too much attention to the petty details of administration. They cause us to forget the general course of the world-wide development of the proletarian dictatorship, its evolution through Soviet power or, more correctly, the Soviet movement, through the groping of the proletarian masses within the Soviets—something we all experienced and have forgotten—and through the attempt to achieve the dictatorship within the Soviets. These are the difficulties we have encountered and the general tasks to which, in my opinion, we must turn our attention so that we may as far as possible get away from the petty details of administration in which everybody who is engaged in practical local government work is absorbed, and so that we may understand what a long way we, as a contingent of the world proletarian army, have still to go. Complete and final victory on a world scale cannot be achieved in Russia alone; it can be achieved only when the proletariat is victorious in at least all the advanced countries, or, at all events, in some of the largest of the advanced countries. Only then shall we be able to say with absolute confidence that the cause of the proletariat has triumphed, that our first objective—the overthrow of capitalism—has been achieved. We have achieved this objective in one country, and this confronts us with a second task. Since Soviet power has been established, since the bourgeoisie has been overthrown in one country, the second task is to wage the struggle on a world scale, on a different plane, the struggle of the proletarian state surrounded by capitalist states. This situation is an entirely novel and difficult one. On the other hand, since the rule of the bourgeoisie has been overthrown, the main task is to organise the development of the country. The yellow socialists who have gathered in Berne and now intend to honour us with a visit by distinguished foreigners, are extremely fond of repeating that “the Bolsheviks believe in the almighty power of violence”. This phrase only shows that those who use it are people, who in the heat of the revolutionary struggle, when they are being completely crushed by the violence of the bourgeoisie—look at what is going on in Germany—are incapable of teaching their own proletariat the tactics of necessary violence. Under certain circumstances violence is both necessary and useful, but there are circumstances under which violence cannot produce results. There have been cases, however, of not everyone appreciating this difference, so that it must be discussed. In October violence—the overthrow of the bourgeoisie by Soviet power, the removal of the old government, revolutionary violence—resulted in a brilliant success. Why? First, because the masses were organised in Soviets, and secondly, because in the long political period, from February to October, the position of the enemy—the bourgeoisie—was undermined, sapped, washed away, like a block of ice by the spring thaw, and internally had been deprived of his strength; and the movement in October, compared, say, with the present revolutionary movement in Germany, brought us such a complete and brilliant victory for revolutionary violence. May we assume that such a path, such a form of struggle, such an easy victory for revolutionary violence, is possible if these conditions do not exist? It would be a very great mistake to assume that. And the greater the revolutionary victories achieved under certain specific conditions the more often does the danger arise of our allowing ourselves to be flattered by such victories and not stopping to think coolly, calmly and attentively, about the conditions that made them possible. When we tore the Kerensky government and Milyukov’s coalition ministry to shreds, so to speak, compelled them to shuffle portfolios over and over again, compelled them to play ministerial leapfrog from right to left, from left to right, up and down and down and up, it became obvious that they could not pull together, no matter in what order they sat, and then they were blown away like so much chaff. Is the situation that now confronts our practical tasks in respect of world imperialism anything like that? Of course not. That is why the Treaty of Brest created serious difficulties in the sphere of foreign policy, but the mass character of the movement helped us to overcome them. But what is the source of the mistakes that caused some of our comrades to think that we were committing a heinous crime? There is still an odd crank or two among people able to wield the pen who imagine that they are somebodies, that they have experience, can teach others, and so forth, who even now assert that this was a compromise with German imperialism. Yes, we made the same compromise when we “compromised” with the tsar by entering the disgusting, reactionary Duma and undermining it from within. Can we count on the overthrow of world imperialism merely by force before the proletariat in those imperialist countries has reached the necessary stage of development? If the question is presented in this way—and we as Marxists have always taught that this is the only way to present the question—we must agree that it would be very absurd and foolish to employ the policy of violence under those circumstances, and complete failure to understand the conditions under which a policy of violence can be successful. Now we realise this; we have gained experience. While we, at the time of the Treaty of Brest, were obliged to muster our forces and amidst the most extraordinary difficulties lay the foundations of a new army, the Red Army, in a country ruined and exhausted by war to a greater degree than any other country in the world, while we, in the first half and the beginning of the second half of 1918, were, stone by stone, laying the foundations of a genuine socialist Red Army, the imperialism of other countries was being sapped by internal disintegration and the growing discontent, and was becoming enfeebled. And revolutionary violence triumphed in Germany after many months of development of the struggle had sapped the strength of imperialism in that country; and the same thing is now being repeated to some extent—to some extent, but not entirely—in the Entente countries. That is why the French nation is being fed with promises and fairy-tales about the peace, the final victory, that is coming soon. But peace means the collapse of all hopes of being able to crawl out of this bloody mire at least partly alive—with broken arms and legs, but alive. It will be impossible to crawl out of this peace while the old capitalist system is intact, because the war has piled up such a heap of debts, such a mass of ruins throughout the capitalist world, that it is impossible to crawl out of it without upsetting the whole pile and starting an avalanche. Even those who are not revolutionaries, who have no faith in revolution, and dread it, are nevertheless discussing it theoretically and will be convinced by the course of events, by the consequences of the imperialist war, that there is no way out except revolution. I repeat, I was particularly astonished by the American’s appraisal of the situation from the point of view of a business man who, of course, has not studied the theory of the class struggle and sincerely thinks it is nonsense, but who is interested in millions and thousands of millions, and being able to count, asks: “Will they pay or not?” And he answers, again from the shrewd businessman’s point of view: “They have nothing to pay with! You will not even get 20 kopeks in the ruble! It is in such a situation in all the Entente countries that we see profound and widespread unrest stimulated by the workers’ sympathy for the Soviet form. A Paris crowd, for example, is perhaps more sensitive than any assembly of people in any other country, because the people there have had a very good schooling, they have made a number of revolutions—and there, this most responsive crowd, which will not allow a speaker to strike a false note, now interrupts those who dare to say anything against the Bolsheviks. And yet, only a few months ago, nobody could even as much as hint that he is in favour of Bolshevism without being jeered at by the very same crowd. That is why the policy which we were obliged to pursue at the time of the Brest peace, a most brutal, violent and humiliating peace, proved to be the only correct policy that could have been pursued. And I think that it will be useful to recall this policy once again at the present time when a similar situation is arising in the Entente countries, when there, too, the bourgeoisie is filled with a mad desire to thrust their debts, poverty and ruin on Russia, to plunder Russia and crush her in order to divert the rising anger of the masses of their own working people from themselves. Looking at the situation dispassionately we must say to ourselves very clearly, if we do not want to fool ourselves and others—this is a dangerous thing for revolutionaries to indulge in—we must say that as far as military strength is concerned, the Entente is stronger than we are. But if we look at things in the light of their development, we shall also say very definitely and with a conviction based not only on our revolutionary views but also on our experience, that the strength of the Entente countries will not last, they are on the threshold of a great and abrupt change in the temper of their masses. They have been feeding both French and British workers with promises, saying, “We shall finish plundering the whole world and you will have enough to eat.” This is what the bourgeois press is shouting and dinning into the ears of the ignorant masses. They will probably conclude peace in a few months—if they do not quarrel among themselves in the meantime, and there are a number of serious symptoms that this is possible. But if they succeed in concluding peace without flying at each other’s throats, this peace will be the beginning of an immediate collapse, because these unprecedented debts cannot be paid, and they can do nothing to alleviate the desperate state of ruin, when in France the production of wheat has dropped to less than half and famine is knocking at the door everywhere, and the productive forces have been destroyed; they are unable to do anything about it. If we look at the situation soberly we shall have to admit that the method of appraising affairs which proved so correct in appraising the Russian revolution is, day after day, indicating the coming of the world revolution. We know that the streams that will carry with them the icebergs of the Entente, of capitalism, of imperialism, are gaining strength day after day. On the one hand, the Entente countries are stronger than we are; but on the other hand, they-cannot possibly hold out long owing to the internal situation. It is this situation that determines the intricate tasks of international policy—tasks which we may, and probably will, have to tackle in the very near future, and which, though I am insufficiently informed about them in all their detail, I would like to talk to you-about most of all so that a picture of the experience of the work done by the Council of People’s Commissars, work in the sphere of foreign policy, will be presented to you, comrades, in a clear and interesting form. The most important of our experiences is the Brest peace. This is the most significant result of the foreign policy of the Council of People’s Commissars. We were obliged to play for time, to retreat, manoeuvre and sign a most humiliating peace treaty, and in this way gain an opportunity to lay the foundation of a new socialist army. This foundation we have laid, while our once mighty and all-powerful enemy is already powerless. All over the world things are moving in the same direction, and this is the chief and principal lesson that we must learn and try to understand as clearly as possible in order to avoid making mistakes in the extremely intricate, extremely difficult and extremely involved problems of foreign policy which any day may confront the Council of People’s Commissars, the Central Executive Committee, and Soviet power as a whole. I shall conclude my remarks on foreign policy with this and proceed to deal with some other extremely important questions. Comrades, as regards activities in the military field—a year ago, in February and March 1918, we had no army at all. We had, perhaps, ten million armed workers and peasants who constituted the old army that had collapsed completely, was fully ready and determined to desert, to flee, to abandon everything, come what may. At that time this was regarded as an exclusively Russian phenomenon. People thought that owing to the Russians’ characteristic impatience, or lack of organisation, they would not hold out, whereas the Germans would. That is what we were told. And now we see that a few months have passed and the same thing has happened to the German army, which was immeasurably superior to ours in culture, equipment, and discipline, in providing decent conditions for the sick and wounded, as regards home leave, and so forth. Even the most cultured and disciplined masses could not stand the slaughter, the many years of slaughter, and so a period of absolute disintegration set in when even the advanced German army broke down. Evidently, there is a limit not only for Russia but for all countries. There are different limits for different countries, but for all of them there is a limit beyond which it is impossible to continue to wage war for the sake of the interests of the capitalists. This is what we see today. German imperialism has completely exposed itself as a predator. The most important thing is that even in America and in France, in these notorious democracies (the traitors to socialism, the Mensheviks and Socialist-Revolutionaries, those hapless people who call themselves socialists, are fond of chattering about democracies), in these most advanced democracies of the world, in these republics, imperialism is becoming more arrogant every day and we find there beasts of prey more predatory than anywhere else. They are plundering the world, fighting each other, and arming against each other. This cannot be concealed for long. It could be concealed when the war fever was at its height. But the fever is subsiding, peace is approaching, and it is precisely in these democracies that the masses see, in spite of all the lies they are being told, that the war has led to fresh plunder, that the most democratic republic is nothing more nor less than a disguise for the most brutal and cynical predator who is ready to ruin hundreds of millions of people in order to pay the debts, that is, to pay the imperialist gentlemen, the capitalists, for being good enough to allow the workers to cut each other’s throats. This is becoming clearer to the masses every day. It is this situation that makes possible political statements such as the article written by the military correspondent of a newspaper that belongs to the richest and most politically experienced bourgeoisie, the London Times ; the author appraises events by saying that all over the world the armies are breaking up and there is only one country where the army is being built up, and that country is Russia. The bourgeoisie—which militarily is far stronger than Soviet Bolshevism—is compelled to admit this fact. And this fact serves as a criterion of what we have accomplished in the course of our Soviet activities in the past year. We succeeded in reaching a turning-point where instead of an army of ten million, the bulk of which had deserted, unable to stand the horrors of war, and which had realised that this was a criminal war, we began to build, one hundred thousand after another, a socialist army, which knows what it is fighting for and is ready to make greater sacrifices and suffer more privation than under tsarism. For this army knows that it is fighting for its own cause, for its own land, for its own power in the factories, that it is defending the power of the working people, and that the working people of other countries are awakening, slowly and with great difficulty, but awakening nevertheless. This is the situation that characterises the year’s experience of Soviet power. War is an incredible hardship for Soviet Russia, war is an incredible hardship for a people who for four years have borne the horrors of the imperialist war. For SovietRussia war is an incredibly heavy burden. But at the present time even our powerful enemies admit that their armies are cracking up, whereas our army is being built. For the first time in history an army is being built on the basis of the closest contact, inseverable contact, coalescence, one might say, of the army and the Soviets. The Soviets unite all the working people, all the exploited, and the army is being built up for the purpose of socialist defence and on the basis of class-consciousness. An eighteenth-century Prussian monarch once wisely remarked: “If our soldiers knew what we were fighting for, it would be impossible to wage a single war.” That old Prussian monarch was no fool. We, however, are prepared to say, comparing our position with that of the monarch, that we can wage war because the masses know what they are fighting for; and they want to fight notwithstanding the incredible burdens—burdens, I repeat, far greater than under tsarism—knowing that they are making these desperate and incredibly heavy sacrifices in defence of their socialist cause, fighting side by side with those workers of other countries who are “disintegrating” and are beginning to understand our position. What a “horrible” crime, indeed! The imperialists of the whole world hurled themselves upon the Russian Republic in order to crush it, and we began to form an army which for the first time in history knows what it is fighting for and what it is making sacrifices for, which is successfully contending against a numerically superior enemy, and which with every month of its resistance on an unprecedented scale is bringing nearer the world revolution, and this is denounced as red militarism! I repeat, these are either fools to whom no political appraisal can apply, or else political crooks. Everybody knows that this war was forced upon us. We brought the old war to a close at the beginning of 1918, and did not start a new war. Everybody knows that the white guards attacked us in the West, South and East, only because they were assisted by the Entente, which scattered millions right and left. And these advanced countries collected and handed over to the whiteguards the vast stocks of war supplies and ammunition left over from the imperialist war, for those gentlemen, the millionaires and multimillionaires, know that their fate is being decided here, that it is here they will perish if they do not crush us at once. The socialist, republic is straining every nerve, is making sacrifices and winning victories. And if after a year of civil war you look at the map and compare what Soviet Russia was in March 1918 and in July 1918—when the German imperialists in the West occupied the line laid down by the Treaty of Brest, when the Ukraine was under the heel of the German imperialists, when the Czechoslovaks, bribed by the French and British, lorded it in the East as far as Kazan and Simbirsk—if you look at the map today, you will see that we have expanded immensely, that we have won enormous victories. Is this situation, only sordid and despicable political crooks can use strong language and accuse us of red militarism. Never in history has there been a revolution in which it was possible to lay down one’s arms and rest on one’s laurels after the victory. Whoever thinks that such revolutions are possible is not only no revolutionary, but the worst enemy of the working class. There has never been a revolution, even a second-rate one, even a bourgeois revolution in which the only issue was the transfer of power from one propertied minority to another. We know of examples! The French revolution, against which the old powers hurled themselves at the beginning of the nineteenth century in order to crush it, we call great precisely because it succeeded in rousing the vast masses of the people in defence of its gains and they resisted the whole world; this was one of its greatest merits. Revolutions are subjected to the most serious tests in the fire of battle. If you are oppressed and exploited and think of throwing off the power of the exploiters, if you are deter- mined to carry this to its logical conclusion, you must under stand that you will have to contend against the onslaught of the exploiters of the whole world. If you are ready to offer resistance and to make further sacrifices in order to hold out in the struggle, you are a revolutionary; if not, you will be crushed. This is how the question is presented by the history of all revolutions. The real test to which our revolution is being subjected is that we, in a backward country, succeeded in capturing power before the others, succeeded in establishing the Soviet form of government, the power of the working and exploited people. Shall we be able to hold, on at least until the masses in the other countries make a move? If we are not prepared to make fresh sacrifices and do not hold out, it will be said that our revolution was historically unjustified. But democrats in civilised countries who are armed to the teeth dread the presence of a hundred or so Bolsheviks in a free republic with a hundred million population, in the way America does. Bolshevism is so infectious! And it turns out that the democrats cannot cope with a hundred immigrants from starving, ruined Russia who might talk about Bolshevism! The masses sympathise with us! The bourgeoisie have only one path of salvation, and that is, while their hand still grasps the sword, while they still control the guns, to turn these guns against Soviet Russia and to crush her in a few months, because later on nothing will crush her. This is the situation we are in; this is what determined the military policy of the Council of People’s Commissars during the past year; and this is why, pointing to the facts, to the results, we have a right to say that we have stood the test only because the workers and peasants, though utterly exhausted by war, are creating a new army under still more arduous conditions and are displaying new heroism. That is a brief summary of the policy of the Soviet government in the military field. Permit me to say just a few more words about a matter in which military policy overlaps policy in another field—economic policy. I refer to the military experts. You are probably aware of the controversy that has arisen over this question, and that some comrades, most devoted and convinced Bolshevik Communists, often expressed vehement protests against the fact that for the purpose of organising our socialist Red Army we are utilising the services of the old military experts, tsarist generals and officers, whose records are blemished by their service to the tsar, and in some cases by the bloody acts of repression against workers and peasants. The contradiction here is glaring, and indignation, one might say, springs up of its own accord. How can we build a socialist army with the aid of tsarist experts?! It turned out that this was the way, the only way, we did build up an army. If we give some thought to the task that has fallen to our lot, it will not be difficult to understand that it is the only way we could build it. This is not only a military matter, it is a task that confronts us in all spheres of everyday life, and of the country’s economy. The old utopian socialists imagined that socialism could be built by men of a new type, that first they would train good, pure and splendidly educated people, and these would build socialism. We always laughed at this and said that this was playing with puppets, that it was socialism as an amusement for young ladies, but not serious politics. We want to build socialism with the aid of those men and women who grew up under capitalism, were depraved and corrupted by capitalism, but steeled for the struggle by capitalism. There are proletarians who have been so hardened that they can stand a thousand times more hardship than any army. There are tens of millions of oppressed peasants, ignorant and scattered, but capable of uniting around the proletariat in the struggle, if the proletariat adopts skilful tactics. And there are scientific and technical experts all thoroughly imbued with the bourgeois world outlook, there are military experts who were trained under bourgeois conditions—if they were only bourgeois it would not be so bad, but there were also conditions of landed proprietorship, serfdom and the big stick. As far as concerns the economy, all the agronomists, engineers and school-teachers were recruited from the propertied class; they did not drop from the skies. Neither under the reign of Tsar Nicholas nor under the Republican President Wilson were the propertyless proletarians at the bench and the peasants at the plough able to get a university education. Science and technology exist only for the rich, for the propertied class; capitalism provides culture only for the minority. We must build socialism out of this culture, we have no other material. We want to start building socialism at once out of the material that capitalism left us yesterday to be used today, at this very moment, and not with people reared in hothouses, assuming that we were to take this fairy-tale seriously. We have bourgeois experts and nothing else. We have no other bricks with which to build. Socialism must triumph, and we socialists and Communists must prove by deeds that we are capable of building socialism with these bricks, with this material, that we are capable of building socialist society with the aid of proletarians who have enjoyed the fruits of culture only to an insignificant degree, and with the aid of bourgeois specialists. If you do not build communist society with this material, you will prove that you are mere phrase-mongers and windbags. This is how the question is presented by the historical legacy of world capitalism! This is the difficulty that confronted us concretely when we took power, when we set up the Soviet machinery of state! This is only half the task, but it is the greater half. Soviet machinery of state means that the working people are united in such a way as to crush capitalism by the weight of their mass unity. The masses did this. But it is not enough to crush capitalism. We must take the entire culture that capitalism left behind and build socialism with it. We must take all its science, technology, knowledge and art. Without these we shall be unable to build communist society. But this science, technology and art are in the hands and in the heads of the experts. This is the task that confronts us in all spheres. It is a task with inherent contradictions, like the inherent contradictions of capitalism as a whole. It is a most difficult task, but a practicable one. We cannot wait twenty years until we have trained pure, communist experts, until we have trained the first generation of Communists without blemish and without reproach. No, excuse me, but we must build now, in two months and not in twenty years’ time, so as to be able to fight the bourgeoisie, to oppose the bourgeois science and technology of the whole world. Here we must achieve victory. It is difficult to make the bourgeois experts serve us by the weight of our masses, but it is possible, and if we do it, we shall triumph. Naturally, on this path, which is a new and difficult one, we have made more than a few mistakes; on this path we have met with more than a few reverses. Everybody knows that a certain number of experts have systematically betrayed us. Among the experts in the factories, among the agronomists, and in the administration, we have seen and see today at every step a malicious attitude to work, malicious sabotage. We know that all this presents tremendous difficulties and that we cannot achieve victory by violence alone. . . . We, of course, are not opposed to violence. We laugh at those who are opposed to the dictatorship of the proletariat, we laugh and say that they are fools who do not understand that there must be either the dictatorship of the proletariat or the dictatorship of the bourgeoisie. Those who think otherwise are either idiots, or are so politically ignorant that it would be a disgrace to allow them to come anywhere near a meeting, let alone on the platform. The only alternative is either violence against Liebknecht and Luxemburg, the murder of the best leaders of the workers, or the violent suppression of the exploiters; and whoever dreams of a middle course is our most harmful and dangerous enemy. That is how the matter stands at present. Hence, when we talk of utilising the services of the experts we must bear in mind the lesson taught by Soviet policy during the past year. During that year we have broken and defeated the exploiters and we must now solve the prob- lem of using the bourgeois specialists. Here, I repeat, violence alone will get us nowhere. Here, in addition to violence, after successful violence, we need the organisation, discipline and moral weight of the victorious proletariat, which will subordinate all the bourgeois experts to its will and draw them into its work. 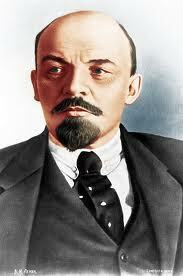 Some people may say that Lenin is recommending moral persuasion instead of violence! But it is foolish to imagine that we can solve the problem of organising a new science and technology for the development of communist society by violence alone. That is nonsense! We, as a Party, as people who have learned something during this year of Soviet activity, will not be so foolish as to think so, and we will warn the masses not to think so. The employment of all the institutions of bourgeois capitalist society requires not only the successful use of violence, but also organisation, discipline, comradely discipline among the masses, the organisation of proletarian influence over the rest of the population, the creation of a new, mass environment, which will convince the bourgeois specialists that they have no alternative, that there can be no return to the old society, and that they can do their work only in conjunction with the Communists who are working by their side, who are leading the masses, who enjoy the absolute confidence of the masses, and whose object is to ensure that the fruits of bourgeois science and technology, the fruits of thousands of years of the development of civilisation, shall be enjoyed not by a handful of people for the purpose of distinguishing themselves and amassing wealth, but by literally all the working people. This is an immensely difficult task, the fulfilment of which will require decades! But to carry it out ,we must create a force, a discipline, comradely discipline, Soviet discipline, proletarian discipline, such as will not only physically crush the counter-revolutionary bourgeoisie, but also encompass them completely, subordinate them to our will, compel them to proceed along our lines, to serve our cause. I repeat that we come up against this problem every day is the work of organising our military forces, in the work of economic development, in the work of every economic council, in the work of every factory committee and of every nationalised factory. There was hardly a week during all past year that the Council of People’s Commissars did not discuss and settle this question in one way or another. I am sure that there was not a single factory committee in Russia, not a single agricultural commune, not a single state farm, not a single uyezd land department which did not come up against this issue scores of times in the course of the past year’s Soviet activity. This is what makes this task so difficult, but it is also what makes it a really gratifying one. This is what we must do now, the day after the exploiters were crushed by the force of the proletarian insurrection. We suppressed their resistance—this had to be done. But this is not the only thing that has to be done. By the force of the new organisation, the comradely organisation of the working people, we must compel them to serve us. We must cure them of their old vices and prevent them from relapsing into their exploiting practices. They have remained bourgeois, and they occupy posts as commanders and staff officers in our army, as engineers and agronomists, and these old, bourgeois people call themselves Mensheviks and Socialist-Revolutionaries. It does not matter what they call themselves. They are bourgeois through and through, from head to foot, in their outlook and in their habits. Well, what shall we do, throw them out? You cannot throw out hundreds of thousands! And if we did we should be harming only ourselves. We have no other material with which to build communism than that created by capitalism. We must not throw them out, but break their resistance, watch them at every step, make no political concessions to them, which spineless people are inclined to do every minute. Educated people yield to the policy and influence of the bourgeoisie because they acquired all their education in a bourgeois environment and from that environment. That is why they stumble at every step and make political concessions to the counter-revolutionary bourgeoisie. A Communist who says that he must not get into a state where he will soil his hands, that he must have clean, communist hands, and that he will build communist society with clean communist hands and scorn the services of the contemptible, counter-revolutionary bourgeois co-operators, is a mere phrase-monger, because we cannot help resorting to their services. The practical task that confronts us now is to enlist the services of all those whom capitalism has trained to oppose us, to watch them day after day, to place worker commissars over them in an environment of communist organisation, day after day to thwart their counter-revolutionary designs, and at the same time to learn from them. The science which we, at best, possess, is the science of the agitator and propagandist, of the man who has been steeled by the hellishly hard lot of the factory worker, or starving peasant, a science which teaches us how to hold out for a long time and to persevere in the struggle, and this has saved us up to now. All this is necessary, but it is not enough. With this alone we cannot triumph. In order that our victory may be complete and final we must take all that is valuable from capitalism, take all its science and culture. How can we take it? We must learn from them, from our enemies. Our advanced peasants, the class-conscious workers in their factories, our officials in the uyezd land departments must learn from the bourgeois agronomists, engineers, and others, so as to acquire the fruits of their culture. In this respect, the struggle that flared up in our Party during the past year was extremely useful. It gave rise to numerous sharp collisions, but there are no struggles without sharp collisions. As a result, however, we gained practical experience in a matter that had never before confronted us but without which it is impossible to achieve communism. I say again that the task of combining the victorious proletarian revolution with bourgeois culture, with bourgeois science and technology, which up to now has been available to few people, is a difficult one. Here, everything depends on the organisation and discipline of the advanced sections of the working people. If, in Russia, the millions of downtrodden and ignorant peasants who are totally incapable of independent development, who were oppressed by the landowners for centuries, did not have at their head, and by their side an advanced section of the urban workers whom they understood, with whom they were intimate, who enjoyed their confidence, whom they believed as fellow-workers, if there were not this organisation which is capable of rallying the masses of the working people, of influencing them, of explaining to them and convincing them of the importance of the task of taking over the entire bourgeois culture, the cause of communism would be hopeless. I say this not from the abstract point of view, but from the point of view of a whole year’s daily experience. Although this experience includes a multitude of petty details, some times dull and unpleasant, we must learn to see something deeper in them. We must understand that these petty details, these conflicts between, say, a factory committee and an engineer, a Red Army man and some bourgeois officer, a peasant and a bourgeois agronomist—these conflicts, this friction, these petty details contain much that is immeasurably deeper. We have vanquished the prejudice that these bourgeois specialists should be thrown out. We have taken over this machine, it is still running badly, we have no illusions on that score; it keeps stopping, it makes mistakes all the time, it runs into ditches, and we drag it out again, but it is moving, and we shall keep it on the right road. This is the only way we can emerge from this quagmire of destruction, frightful difficulties, ruin, barbarism, poverty and starvation into which we were dragged by the war, and into which the imperialists of all countries are trying to push us and keep us. But we have begun to emerge, the first steps have been taken. This year of Soviet activity has taught us clearly to understand the task in every individual case of work in the factories and among the peasants, and we have mastered it. Soviet power has gained tremendously by it in the past year, and it has been worth while spending a year on it. We shall not, as we did in the old days, discuss theoretically and in general terms the importance of bourgeois specialists and the importance of proletarian organisations, but at every step, in every factory committee, and in every land organisation, we shall make use of the experience we have gained. We have laid the foundation of our Red Army, we now have a small foundation, we now have nationalised factories where the workers understand their tasks and have begun to increase labour productivity with the aid of bourgeois specialists (who at every step are trying to turn to the past while the mass organisations of the workers are compelling them to march forward in step with Soviet power)—all this is a great gain for Soviet power. This work is imperceptible, there is nothing brilliant about it, it is difficult to appraise its real value, but the very fact that from simply suppressing the exploiters we have advanced to a phase where we are learning ourselves and teaching the masses how to build communism with capitalist bricks and compel the capitalist bourgeois specialists to work for us, is a step forward for our movement. Only on this road shall we achieve victory. And now we know that if we proceed as we have been up to now we shall really achieve this victory. Comrades, I now come to the last question that I want to deal with, if only briefly, for I have already spoken too long. I have in mind the question of our relations with the countryside. Up to now I have spoken about our activities in the military field, about the dictatorship, and about utilising the services of bourgeois specialists. Now I want to deal with another great difficulty that we encounter in our work of communist construction. What is to be done if the proletariat has taken power in a country where the urban proletariat constitutes a minority of the population, while the majority are peasants accustomed to work individually and deeply imbued with habits of individual farming? The majority of these peasants, however, have been so ruined, impoverished and exhausted by the oppression of the landowners and capitalists that they willingly render assistance to the proletariat. When an urban worker approaches a peasant in a reasonable way, tactfully, as man to man, and not as if he wants to be a boss, which arouses legitimate hatred, he wins the peasant’s most comradely confidence and complete support. We know that this is a fact, and Soviet power in the villages is based on it. Soviet power has been able to hold out only because it has been receiving the sincere support of the majority of the working people. We have been receiving this support because the urban workers have established contact with the rural poor in thousands of ways, of which we have not even an inkling. The state, which formerly hindered the establishment of such contacts, is now doing all it can to facilitate it. This alone explains why Soviet power has been able to hold out and this is the sole pledge of victory. The enormous difficulties I have just referred to are due to the peasants being accustomed to work individually and to sell their grain freely. They think this is quite legitimate. They argue as follows. How can it be that having worked so hard to produce grain at the cost of so much sweat and blood, we have no right to sell it as we please? The peasants consider themselves the injured party. But we know from the entire development of Russia that freedom to trade means freely breeding capitalists; and freedom to trade in a country which has been exhausted by starvation, where starving people are prepared to give any thing, even to sell themselves into slavery, for a crust of bread, freedom to trade when the country is starving means allowing the minority freely to amass wealth and ruin the majority. We must prove that help for the peasantry is a primary task in a country which has been exhausted by starvation; but we can help the peasantry only by uniting their activities, by uniting the masses, for the peasants are scattered, disunited and accustomed to work and live out of contact with one another. There are no objective obstacles to the fulfilment of this difficult task. All that had to be done by means of force, has been done; we do not reject force, for we know that there are kulaks among the peasants who are actively resisting us and go to the length of organising whiteguard revolts. This, however, does not apply to peasants in the mass. The kulaks are a minority. As far as they are concerned, the only thing to do is to fight them and to keep on fighting them. They must be crushed, and we are crushing them. But after the successful fulfilment of the task of crushing the rural exploiters problems arise which cannot be solved by the use of force. In this sphere, as in all the others, we can fulfil our task only by means of mass organisation, by means of the prolonged educational influence of the urban proletariat over the peasantry. Shall we succeed in this tasks? Yes, we know from experience that we shall, and only because the vast majority of the peasants have confidence in the workers’ government and on the basis of this confidence in the workers we can reinforce the foundation we have begun to build, and which we mustcontinue to build, but only by means of comradely influence and discipline. This is the practical task that now confronts us. When we established the Poor Peasants Committees, when we tried to introduce barter with the rural districts, we did so not to enable the rich peasants to obtain goods, but primarily to enable the poor peasants to obtain the small quantities of goods that the cities could provide so that by helping the poor we would be able with their aid to beat the kulaks and take their surplus grain. At a time when the workers in the towns are on the verge of exhaustion—and nowhere is there such terrible hunger as in the towns and in the non-agricultural parts of Russia—when the peasants have taken all the land and grain that belonged to landowners, and when the bulk of the peasants, as we know, in the first year of Soviet power worked for themselves and not for the landowners and merchants and are now feeding better than they did before, when the population of the urban and non-agricultural districts of the country is starving and all the capitalists are trying to crush us by famine, at such a time people wearing Menshevik, Socialist- Revolutionary, or other clownish costumes, have the insolence to shout, “They are robbing you!” These people are agents of capitalism, and we must treat them as such and nothing else! At a time when the main difficulty confronting the Soviet government is the famine, it is the duty of every Soviet citizen to hand over all his surplus grain to the famine-stricken. This is so clear and obvious, so intelligible to every working man, that nobody can say a word against it. One must be a scoundrel, a political crook, to obscure this plain, clear and obvious truth, to make it unintelligible, or distort it! It is on this truth that the urban workers rely. It is because this truth is so obvious that they are able to do their extremely difficult job. Up to now they have told the poor peasants that they and the workers constitute the real bulwark of Soviet power, that is why the working class has established Poor Peasants’ Committees, organised barter, and made it obligatory for the co-operatives to include the whole population. All the decrees on agriculture issued up to now have this main idea running through them. And in all our appeals to the urban workers we have said, “Unite with the rural poor, for unless you do, you will be unable to solve the most important and most difficult problem, namely, the bread problem.” And to the peasants we said, “Either you unite with the urban workers, in which case we shall triumph; or you allow yourselves to be misled by the admonitions and exhortations of the capitalists and their servants and flunkeys in Menshevik garb, who say, “Don’t let the towns rob you, trade as you please, the rich get richer, what do you care if people are dying of starvation’, in which case you yourselves will perish, you will become the slaves of the capitalists and cause the ruin of Soviet Russia.” It was only under capitalism that people argued, “I shall trade, I shall get rich. Every man for himself and God for all.” This was the principle of capitalism and it engendered war; that is why the workers and peasants were poor, and an insignificant number of people became multimillionaires. The problem is how to approach the peasants in the course of practical work, how to organise the poor and middle peasants so as to be able at every step to combat their gravita- tion towards the past, their attempts to go back to free trading activities, their constant striving to be “free” producers. The word “freedom” is a good word. We meet it at every step: freedom to trade, freedom to sell, freedom to sell one self, and so forth. And there are Mensheviks and Socialist-Revolutionaries, rascals, who garble and distort this beautiful word “freedom” in every newspaper and in every speech. But these are all crooks, capitalism’s prostitutes, who are trying to drag the people back to the past. Lastly, the main object of the attention and activities of the Council of People’s Commissars as well as of the Council of Defence has recently, during the past few months and weeks, been the fight against the famine. The famine is particularly disastrous for us at the present time, on the threshold of the spring; and the spring threatens to be a most severe period for us. Just as last year the most severe period was the end of winter, the spring and the beginning of the summer, so, this year, we are now on the threshold of a severe period. The whiteguards, landowners and capitalists have greater hopes of being able to play on the famine as a means of crushing Soviet power since they have been unable to do it in open struggle. The people who call themselves Mensheviks and Right or Left Socialist-Revolutionaries have sunk so low that they claim to side with the working people but when the food situation becomes more acute and famine is approaching they try to take advantage of it and incite the masses of the people against the workers’ and peasants’ government. They do not understand that this sort of policy today, this incitement and these attempts by the Left Socialist-Revolutionaries to make capital out of the famine, ostensibly for the benefit of the workers, are direct assistance to the whiteguards, just as much as was the treachery of the Left Socialist-Revolutionary Muravyov on the Eastern Front last year, which cost the lives of tens of thousands of workers and peasants. Any such agitation costs thousands more lives in the war against the whiteguards. When Muravyov committed his act of treachery last year, he opened up almost the entire front to the enemy and caused us a number of severe reverses. That is why I should like primarily and mainly to deal very briefly with the major facts. Although today our food situation has become worse, just as it did last spring, we have every hope that we shall not only overcome this difficulty but shall cope with it better than we did last year. This hope is based on the fact that the situation in the East and South has greatly improved; and the East and South are the main granaries of Russia. At a number of meetings of the Council of Defence and the Council of People’s Commissars held during the past few days we ascertained very definitely that about nine million poods of grain have been piled up on the railways between Kazan and Saratov, and on the Volga-Bugulma line, to the east of Samara, across the Volga. The great difficulty, and great danger, is that our railways are in such a state of disrepair, and the shortage of locomotives is so considerable, that we are not sure of being able to move all this grain. This is what we have concentrated our main attention and activities on during the past few days, and that is why we resolved to resort to a measure like the suspension of all passenger traffic from March 18 to April 10. We know that this is a harsh measure. Agitators who are helping the whiteguards will no doubt come along and shout, “Look, the people are starving, and yet passenger traffic has been stopped, to make it impossible to carry grain.” Agitators of this type will certainly appear. But we tell ourselves that in all cases of difficulty we rely on the class-consciousness of the honest workers, and they will side with us. According to the calculations of the experts, the suspension of passenger traffic will release 220 locomotives. These passenger locomotives are less powerful than freight locomotives, they cannot haul as much; but we have estimated that during this period they will be able to haul about three and a half million poods of grain. Individual food profiteers and the starving people who roam all over the country in search of grain, would, at the most, be able to carry half a million poods in such a period. This will be confirmed by every experienced railway worker, by everybody, who has been on the Trans-Volga line and has seen the grain heaped up, sometimes right on the bare snow. The sacks of grain may be damaged; as it is the grain is moist, and the situation will become worse when the spring thaw commences. We therefore resorted to this harsh measure, convinced that the truth cannot be concealed from the vast masses of the workers, that the Left Socialist-Revolutionaries will not succeed in misleading them, that truth will prevail. This harsh measure, the suspension of passenger traffic, will provide us with several million poods of grain. We must brush aside the lies, slander and fairy-tales to the effect that it is harmful to suspend passenger traffic and say that with the assistance of the Petrograd, Moscow and Ivanovo-Voznesensk workers who are being sent to the South, it will provide a sufficient quantity of grain. Incidentally, I will remind you that no city has devoted so much effort to the organisation of food supplies as Petrograd. All the best forces in that city have already been mustered for the work, and this is what the workers in the other advanced cities should do, too. The socialist revolution cannot be accomplished without the working class. It cannot be accomplished if the working class has not accumulated sufficient forces to be able to lead the tens of millions of exhausted, illiterate, and scattered rural people who had been crushed by capitalism. Only the advanced workers can lead them. But our best forces have already been used up, they are weary and exhausted. Their places must be taken by average people and young forces. Probably they will make mistakes, but that does not matter so long as they are devoted to the workers’ cause, and so long as they have been brought up in the environment of the proletarian struggle. We have already taken measures to send our best forces to the Volga-Bugulma Railway. Comrade Bryukhanov has gone there accompanied by a group of workers. Army detachments accompanied by workers have been sent to other lines, too, and, I repeat, there are good grounds for hoping that we shall obtain grain. A severe half-year lies ahead of us, but this will be the last severe half-year, because instead of an enemy who is becoming stronger, we have in front of us an enemy who is disintegrating, for the Soviet movement is growing in all countries. These are the grounds on which, after discussing the matter most carefully and verifying our calculations again and again, we say that the suspension of passenger traffic will enable us to bring in several million poods of grain and use the extremely rich granaries of the East and South. In the course of this severe half-year we shall vanquish our chief enemy, the famine. Moreover, our position today is much better than it was last year, because we now have reserves. Last yearthe Czechoslovaks reached Kazan and Simbirsk; the Ukraine was under the heel of the Germans; Krasnov, financed by the Germans, was mustering troops in the Don region, and we were cut off from the South. Today the Ukraine is being liberated from the German imperialists. The latter had planned to ship 60,000,000 poods of grain to Germany, but they shipped only 9,000,000 poods, and with it something they cannot digest, namely, Bolshevism. This is what upset the German imperialists, and this is what will upset the French and British imperialists if it becomes possible for them to advance farther into Russia. And that is why we, on behalf of the Ukrainian comrades, say to the Petrograd workers, knowing that they have done more than the workers of any other city, “Do a little more, make another effort!” Now we can and must come to the aid of our Ukrainian comrades, because they must build up the machinery of the Soviet state on a site that was cleared and laid waste by suffering as no other place has been! We discussed the situation in the Central Committee of our Party and gave instructions that everything should first be done to help to build up administrative machinery in the Ukraine, and in return for this, when this machinery is available, to set to work to obtain 50,000,000 poods of grain by June 1. I do not in the least wish to assert that this will be done. We all know that of all the tasks we undertook, not one was fulfilled by the appointed date. Suppose only part of this task is fulfilled; at all events you will know definitely that when things get worse, when the famine here becomes more acute, and when the food supply machinery will be working at top speed in the East and South, we shall be able to obtain urgent aid from the South and improve our situation. In addition to the Ukraine, we have another source of grain supply—the Don region. There, the victories of the Red Army have already worked miracles. Several weeks ago the situation on the Don, in the war against Krasnov, against our main enemy, against the officers and Cossacks who received millions in bribes, first from the Germans and then from the British and French, who are still continuing to help them—several weeks ago, our position was very serious. But now we have, with tremendous speed, regained territory not only up to Tsaritsyn, but farther to the south. The forces of Krasnov and the Don counter-revolutionaries have been broken in spite of the assistance they received from the imperialists. What does this mean? It means that we are getting nearer to coal and grain, for the lack of which we are perishing—owing to the shortage of coal, the railways and factories are coming to a standstill, and owing to the shortage of grain, the workers in the towns, and in the non-agricultural districts generally, are suffering the pangs of starvation. In the Don area, as in the Ukraine, the grain stocks are enormous. Furthermore, it cannot be said that there is no administrative machinery in the Don area. In every military unit there is a Communist group, worker commissars, and groups of food supply workers. The greatest difficulty there is that neither of the two main railway lines can be used because the whiteguards, on retreating, blew up the bridges. The last meeting of the Council of Defence and the Council of People’s Commissars was attended by experts whom we asked how material could be obtained to repair the lines, and how at least one of them could be repaired. At the last meeting of the Council of Defence we were able to assure ourselves that thanks to an enormous exertion of effort not only were materials provided, but the comrades on the spot assured us, almost guaranteed, that both lines would be repaired before the spring thaw. The resumption of traffic on these two lines is perhaps worth many victories over the Cossacks and enables us to say that we must hold on for another few severe months, we must strain every nerve, obtain the assistance of the Petrograd, Moscow and Ivanovo-Voznesensk workers. In addition to the East, from where it is difficult to ship anything, in addition to the Ukraine, where there are vast stocks but no administrative machinery, we have the Don region, which has been reconquered by the Red Army. That is why we cautiously, after cool calculation, after verifying all this by means of repeated reports and communications from the people on the spot and hearing the statements of food supply and railway experts, say that we have very good grounds for believing that we can not only hold out as we held out last year, but also greatly improve our conditions. Our internal enemy is collapsing, and our external enemy cannot possibly hold out for long. Comrades, we were particularly convinced of this by what we heard from our foreign comrades who arrived here, and jointly with whom we recently formed the Communist International in Moscow. In Paris, speakers at public meetings who attack Bolshevism are driven from the platform. Yes, victory will be ours! The imperialists may yet shed the blood of thousands and thousands of workers, murder Rosa Luxemburg and Karl Liebknecht, and hundreds of the best representatives of the International, they may fill the prisons in Britain, France, Germany and Italy with socialists, but this will not avail them! Victory will be ours! For in spite of all the lies and the torrents of abuse and filthy slander that are poured out against us, the workers of all countries now understand what is meant by Soviets, by Soviet power. The capitalists of no country have a way out. I repeat that when they conclude peace they will be at loggerheads. France is ready to hurl herself upon Italy, they are quarrelling over the division of the booty. Japan is arming against America. They have imposed upon the peoples an incredible burden of tribute, millions upon millions of war debts. But everywhere the people are exhausted by war, everywhere there is a shortage of food, industry is at a stand still, and starvation reigns. The Entente, which is promising right and left to help the counter-revolutionaries, cannot feed its own countries. The masses of the workers in Paris, in London and in New York have translated the word “Soviet” into their own languages, they have made it intelligible for every worker, for they know that the old bourgeois republic cannot help their cause, that only a workers’ government can help them. Soviet Russia encounters enormous difficulties because the military forces of the most well-armed and most powerful countries of the world have been hurled against her. In spite of this, Soviet power in Russia has succeeded in winning the sympathy, the attention and moral support of the workers of the world. And on the basis of these facts, not exaggerating in the least, and not shutting our eyes to the fact that in Germany and in other countries workers’ blood is flowing and many of the best socialist leaders are being brutally done to death—we know this and do not shut our eyes to it—we assert that victory, complete victory, will be ours, because the power of the imperialists in the other countries has been shaken, while the workers are emerging from their state of stultification and deception. Soviet power has already won recognition from the workers of all countries. Everywhere the Soviets, the capture of power by the workers themselves, are regarded as the only hope. I should very much like the Petrograd comrades to print the following as a foreword or afterword to my speech, even if only in small type. After spending no little effort in correcting the verbatim report of my speech, I am compelled to make the following urgent request to all comrades who want to report my speeches for the press. My request is that they should never rely on the shorthand or any other verbatim reports of my speeches, never make any endeavour to obtain such reports, and never publish such reports of my speeches. Instead of publishing the shorthand reports of my speeches let them, if necessary, publish summaries of them. I have seen newspaper summaries of my speeches that were satisfactory; but I have never seen a single verbatim report of my speeches that was at all satisfactory. Whether this is due to the fact that I speak too fast, or that I do not construct my sentences properly, or to some other reason, I will not undertake to say; but the fact remains that I have never seen a single satisfactory shorthand, or any other verbatim report of my speeches. A good summary of a speech is better than a bad verbatim report. That is why I request that no verbatim report of my speeches should ever be published.